Want to learn more about the Netherlands through film? Or do you just really like to snuggle up after a long day at university and watch a movie? 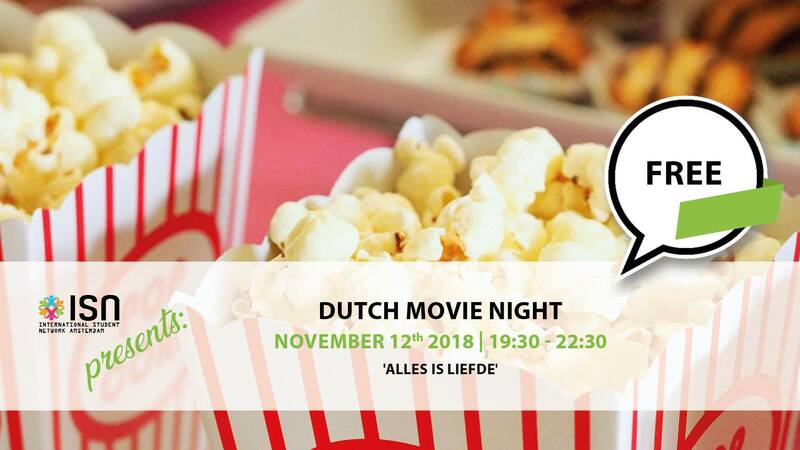 Come join us at Dutch Movie Night! It’s completely free, but make sure to bring your ESN Card or student card! When you show one of these at the CREA desk, you will receive a free ticket. For our third movie night we’re getting into the holiday vibe with ‘Alles is Liefde’ (Love is All), one of the most loved Dutch movies. Alles is Liefde is a romantic comedy that delves into different aspects of love as shown through six separate stories unfolding during the national celebration of Sinterklaas in Amsterdam. Sound familiar? Indeed, the resemblance with Love Actually seems obvious. However, Alles is Liefde is not simply a copy of the British movie, as the stories and situations are very Dutch. You might also recognize one of the actresses, Carice van Houten who plays in Game of Thrones!